Your announcement as I read it marks an end to needing btstools.digitalgaia. Approval of verbaltech delegate means a vote for the exact same project and in excess of the original budget.. so the other 30% delegate is no longer needed. This to me was part of what made the whole thing make sense.. killing two birds with one stone so to speak. I like the idea .. ..
keeping you both on my slate ..
just a quick post to tell everyone that I think the partnership with Thom makes sense to me and we will write a more detailed proposal together. I am still travelling with little internet until next Monday so you won't hear a lot from me until then, but expect more next week when I am back and fully operational again. I am now back from holidays, and ready to kick into gear for another year! I have talked with Thom yesterday, and as previously mentioned here, we will now work together with the aim to enhance and improve the BitShares network security. Mostly what this means at the moment is that we will start implementing the backbone proposal as described here: http://digitalgaia.io/backbone.html and set up various VPS instances spread all over the world, with the aim of getting global coverage, low-latency, strong connectivity and decentralization of the providers to ensure robustness. Thom has already started setting up some nodes, and I will follow suit soon. I will be leading the development for the bts_tools, but Thom will help me when/where needed, and will be testing also. Eventually, we will be managing the backbone between the 2 of us, so given that we are in 2 different timezones, this means we can ensure close to 24/7 monitoring of the backbone nodes. Another task will be to look into graphene, port the bts_tools to be able to work with graphene clients and have them ready for when the official BitShares 2.0 chain launches. As for the delegate pay, we agreed that Thom will be sending me 70% of the pay from his delegate, and will thus keep 30%. I will use the funds to pay for VPS instances and time devoted, and leftovers (if any) will be kept to run seed nodes / backbones nodes for when graphene is launched. Just like to get some clarification though on one point. Should we no longer vote or the delegate btstools.digitalgaia and put all our support into the verbaltech delegate to continue supporting you? Welll said Nico. I have already switched the payroll to send you 70% every 2 weeks. Let me know if there is anything else you need. Meanwhile I will continue to help graphene testing where I can. And yes, thank you everyone for your continued support! At this point, I don't recommend to vote for btstools.digitalgaia anymore, as the pay from verbaltech is more than enough to pay for the servers. That shouldn't change anything, though, because I didn't expect my delegate to be voted in before the release of BitShares 2.0 anyway. In the (unlikely) event it gets voted in, I think I would do a poll like Thom did to ask the community for their opinions, and burn it or redirect it to some other deserving delegates (I can think of a few that are still not voted in but have contributed a lot). - btstools.digitalgaia is deprecated and people wanting to support me should support delegate.verbaltech. Thom and I have already started setting up VPS instances to run those and we will add some more soon and configure them to bring the backbone up. Next, I will need to update the tools to manage delegates in order for them to only connect to the backbone nodes (hide behind them), and start connecting to other peers (seed nodes, known peers) only when the backbone nodes start to fail. In case of an attack on the backbone, we don't want to leave delegates with no connection at all to the network. At this point, the backbone will be publically available, and delegates will be able to connect to it in order to protect their IP addresses, while ensuring that the blocks they sign are broadcasted quickly to the other delegates. Just to be clear about something. If we update to the new version, then the delegate using bts_tools automatically will start running through the backbone system that you have running now? Or is there a specific configuration that needs to be made in order to enable it? I didn't see anything regarding configurations on this so I just like to have that clarified.. thanks! Do you believe with he two delegates providing 130% total now with the market cap that the funds will be enough to provide enough of a distribution network.. or will there be some kind of option for some delegates to become a part of this backbone where it makes geographic sense? 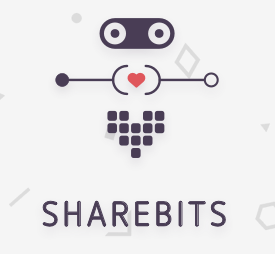 Another great delegate project hard at work for BitShares! Long time coming! Just to be clear about something. If we update to the new version, then the delegate using bts_tools automatically will start running through the backbone system that you have running now? No, at the moment this is only meant for operators of the backbone (Thom and me for now) to allow to set up backbone nodes that behave properly. The next release (likely 0.2.11, I hope to get this in about 2 weeks, but don't take my word for it) will add the possibility for delegates to connect to the backbone automatically. This will be accompanied by a more prominent announcement so that delegates don't miss it. This post was just meant to be an update to the delegate proposal, now that we are voted in. At the moment, I propose that Thom and I manage the backbone so that it's easier to coordinate. My initial plan was to have 2 nodes in the US, 2 nodes in Europe and 2 nodes in China/Asia. Once it's up and running for some time without glitches, we should open it up to anyone that wants to participate and contribute a node (similar to how people contribute seed nodes). There is a question of trust involved, though, because the timing attack that allows a peer to detect the IP of delegates--that the backbone is designed to thwart--can still be performed by the operator of a backbone node. So we should make sure that these are trusted community members. This is the long-term plan anyway, because if people contribute backbone nodes to the network then this doesn't need to be a recurring cost for the blockchain and everyone wins: blockchain doesn't pay for the backbone but everyone benefits from it, and backbone operators get fame and gratitude for the service they give to the network And if we can find financial incentives to run a backbone node that isn't supported directly by the blockchain, then that would be even better! I have set up a backbone of 3 nodes already, you can see the details here: http://digitalgaia.io/backbone.html, or can check http://backbone03.digitalgaia.io/backbone to see the current status of the 3rd backbone node and how it is connected to the other ones. I was planning to set up more with Thom, but I hit kind of a roadblock when implementing the monitoring plugin that allows a delegate to connect only to the backbone, thereby hiding its IP (1). I have a workaround for it, however this requires a lot more setup on the nodes and is only valid until graphene comes out (network api will change and this might not even apply any longer). So I decided to work on adapting the tools for graphene instead as it is now coming very soon (fingers crossed!) and started runnning a witness in the testnet to be able to do so. I won't set up more backbone nodes for now, but will leave those already running anyway if people want to use them, or the chain servers on them, for instance. (1) The issue is that the call to "network_set_allowed_peers" expects to be given the peer ids, which is not public info and needs to be obtained from "network_get_info" on the node itself. I could solve it by only exposing access to it (by using my bts_proxy project) but that would involve quite a bit of setup on the nodes for a workaround that won't likely be applicable for graphene, so that seemed quite a waste of time. If this functionality is also missing in graphene and core devs don't have the time or need to do it themselves I might also be able to implement it but let's wait until then. Great to see yourself and Thom working together on this.